One of the basic elements of a Family Situation Comedy is the bumbling but lovable father. He is the well-meaning gentleman who manages to keep the family together, fed, clothed, and with a roof over their heads despite his various get-rich schemes, miscommunication, and general cluelessness. Some of our favorite bumbling dads include Chester Riley, Dagwood Bumstead, Judy's dad Melvin Foster, Jim Anderson, and Throckmorton P. Gildersleeve. Not the most flattering or accurate portrayals of American fatherhood, but lovable characters nonetheless. The Penny Singleton Show does away with the bumbling dad character but remains funny and relatable entertainment. Miss Singleton plays Penny Williamson, the pretty single mother living in a small town who has lost her husband to the War. The show retains most of the other tropes of the family sitcom form. The lovable scamp, usually a prepubescent lad with a slingshot in his pocket, is an irascible tomboy named Sue whose ability to frustrate her pretty older sister and innocent "call them as she sees them" attitude rivals Gildersleeve's Leroy or even Henry Aldrich. The "thirteen-going-on-va-va-Voom" daughter is DeeGee, who falls a little short on the wisdom displayed by Gildersleeve's Marjorie, but DeeGee has the benefit of having her wise but desirable mother in the house. The wisecracking and often put-upon housekeeper is Margaret, who seems almost as smart-mouthed but not quite as rebellious as other sitcom housekeepers, probably because her paycheck is signed by a smart career woman rather than a bumbling dad. Since the show is built around a smart career woman rather than a bumbling dad, Penny gets the chance to play off not one, but two regular suitors, and one of the program's greatest strengths is the interplay between two of radio's greatest "blowhard" character actors, Gale Gordon and Jim Backus. Gordon plays the town judge, who would certainly like to get closer to the eligible widow. Backus plays Penny's real estate business partner as she has taken over her late husband's role in the office. A typical Backus-blowhard, Mr. Wiggums is both jealous of Penny's real estate success and attracted to Penny while helping to thwart the judge's advances. Penny Singleton, born in Philadelphia, Pennsylvania, 1908, got her showbiz start singing in silent movie houses and soon moved on to vaudeville. She had a small role as a nightclub singer in After the Thin Man (1936) with William Powell, Myrna Loy, and James Stewart. Her big break came when she began playing the title character in Blondie (1939), based on the Chic Young comic strip, which she followed up by playing the character in several sequels and on the radio. 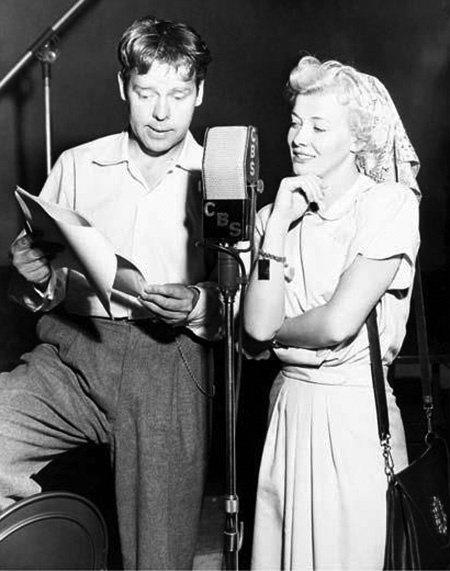 Blondie on the air bounced between radio networks until 1950, when NBC gave Penny her own show. Although she was born a natural brunette, Penny dyed her hair blond for the rest of her life. In the Sixties, she became the voice of Jane Jetson on the animated TV series. 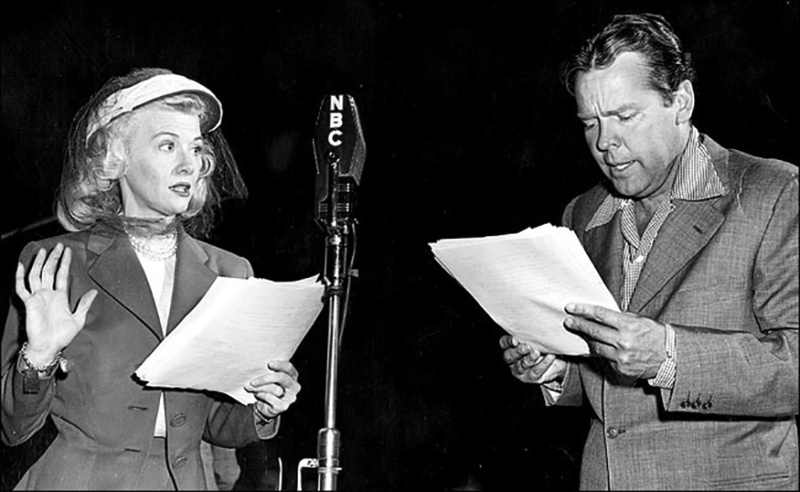 Two Stars on the Hollywood Walk of Fame honor Penny Singleton, one at 6547 Hollywood Blvd for contributions to Motion Pictures, and the other at 6811 for Radio. Penny Singleton was an all-time favorite of mine! I'll always remember her as the voice of Jane in my childhood favorite cartoon, The Jetsons.